In 2013, Ford, Vauxhall and Volkswagen were again the top-selling car marques in a growing British car market. 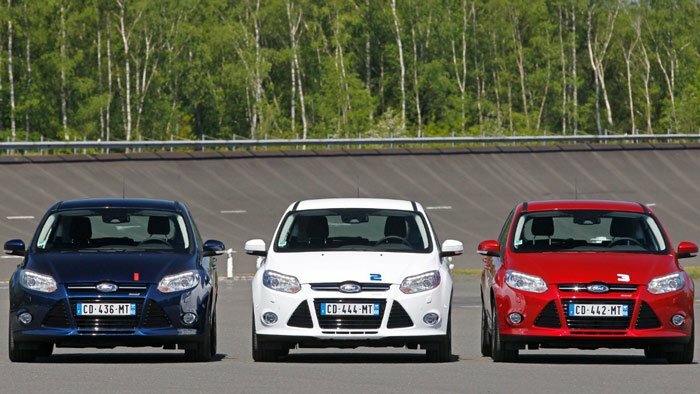 In 2013, Ford maintained its traditional position as the top-selling car brand in the UK. Vauxhall again saw the second highest car sales in Britain while Volkswagen was the third most popular car brand. New passenger vehicle registrations in the United Kingdom grew by 11% in 2013 to pre-recession levels. The Ford Fiesta was again Britain’s favorite car model. New passenger vehicle registrations in the United Kingdom increased by 10.77% to 2,264,737 cars in 2013. This is the highest level in five years and confirms Britain as the second largest and only large growing car market in Europe. December 2013 saw the 22nd month of consecutive month of rises in the British car market. The new car market in Britain in 2013 was primarily driven by private buyers. Private car sales in the UK increased by 15.6% to a market share of 47.5% – two percentage points higher than a year ago. Fleet sales increased by 5.7% while business sales were up 18%. The increase of almost 11% in effect means that around 600 more cars per day were sold in the UK in 2013 compared to a year ago. The SMMT expects growth to slow down to around 1% in 2014. There were no changes in the top three best-selling car marques in Britain in 2013. Ford maintained its top spot easily despite slightly underperforming the broader market while Vauxhall slightly outperformed to gain a 10th of a percentage point in market share. Volkswagen underperformed and lost some market share. In contrast, VW-owned Audi had a strong year that allowed it to take fourth spot from BMW, which with a similar weak performance as VW, slipped down one position from a year ago. Nissan maintained its sixth place with 11.5% growth. Mercedes Benz saw the biggest increase in sales of the top manufacturers in Britain in 2013. Mercedes Benz sales in the UK were up by almost a fifth allowing the German luxury car brand to take 7th place from Peugeot, which had only 6% growth. Toyota was again the 9th strongest selling marque in Britain in 2013 despite sales growth strongly below the overall market. Citroen also underperformed the broader market but Hyundai performed even weaker allowing the French company to take 10th place away form the South Korean marque. South Korean brands Hyundai and Kia both underperformed the broader market signalling an end to the spectacular rises recorded by both brands in recent years. Renault, which saw sales drop by 40% in 2012, grew above market average in 2013 to maintain its position at 18, still far from the top ten position it held a few years ago. Dacia, Renault’s budget brand, entered the British car market in 2013 at position 23. Biggest increases were for Mitsubishi (+38%), Suzuki (+33%), Skoda (+23%), Fiat (+21%), and Mazda (+19%). While Volkswagen underperformed the broader market, its other main brands (Audi, Skoda, and Seat) all showed solid growth. Only three top-30 best-selling car marques in Britain showed a decline in unit sales in 2013: smart, Chevrolet, and Alfa Romeo. The Ford Fiesta was again Britain’s favorite car model in 2013.